“Company” means Corpus Studios SPRL/BVBA. “Member” means any person that has completed and submitted their profile on the Studio online booking facility (“MBO”) as well as the Registration Form – Medical Questionnaire (Filled out at the Reception Desk), payment of yearly Membership and which registration has been accepted by the Company. The Terms and Conditions will be governed by the laws of Belgium and subject to the exclusive jurisdiction of the Belgian courts. All products and services of the Company and its subsidiaries and affiliates are subject to the terms and conditions of the applicable agreements governing their use. Members are required to give notice to the Company of any change of home address or email address. Failing such notice, all communications will be assumed to have been received by the Member within five days of mailing to the last address (of either type) notified to the Company. 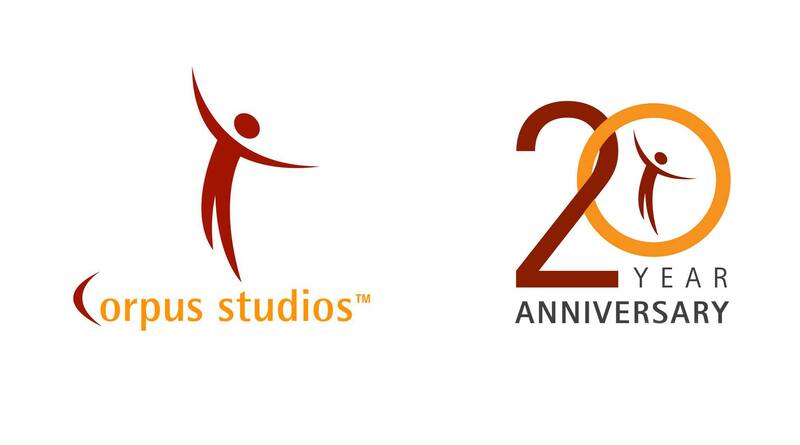 Any marketing, educational or other materials of this nature whatsoever produced by the Company in connection with the Studio and which are made available to Members at the Studio will at all times remain the property of the Company and will be subject to the Company’s copyright. Complete their profile themselves via our MBO online booking facility at www.corpusstudios.com. Members must either pay online or add credit to their account (by purchasing at our reception desk) to book or reschedule sessions. Complete the Registration Form: Medical Questionnaire (at Reception desk). A valid membership is required to book your classes on MBO. Members will not be able to book online without a valid and confirmed membership. Members give permission for any of the information in MBO or on the Registration Form to be given to any Teachers involved with my exercise programme on the understanding that the information is held in strict confidence. Members will also immediately inform the Studio should any of the foregoing change. If a Member brings a guest to the Studio for a session that guest must before the commencement of the relevant session become a Member in accordance with and subject to the Terms and Conditions. Full credit of classes cancelled within the above mentioned time limit will be added to your account for future use. Please refer to the section “Validity of Class Cards” for more information regarding the expiry date of your card. Any reservation not cancelled on time will be treated as used and the full amount of your session will be deducted from your account. All cancellations must be done either in person at the Studio, changed directly on their MBO account or by phone (+32 (0)2 513 07 66). Do not hesitate to leave a message. If no card/account information is present, no further sessions will be conducted until the outstanding payment is received. Additionally, reserved time slots may be lost if payment is not made in a timely manner. Sessions are booked on a first-come first-served basis. A Member may use the waiting list facility at www.corpusstudios.com in the event that his first choice session is unavailable. The Company staff will contact the Member by either email or by phone to confirm their place in the session. In the event that the Member cannot make it, class will be charged the full price of the session and will be subject to the Terms and Conditions in the usual way. Sessions are non refundable, non transferable and non exchangeable. This is non negotiable. No credit/financing will be given. If a client is unable to purchase card then they must pay full class price. Cards can only be extended once with prior approval before purchasing. Products that are defective or damaged upon arrival may be returned immediately for exchange. Members are responsible for all shipping charges on exchanges or refunds. Refunds are only available when an equivalent replacement is unavailable. Payments are non refundable to Members who do not wish to exchange for another product. All Credit Cards will be processed in Euros at the time of payment. The Company is not responsible for any fees, charges, exchange rates or additional charges levied by individual financial institutions or Credit Card companies. Details of session prices and gift certificate prices are available either at www.corpusstudios.com or directly from the Studio and will be such prices as determined by the Company from time to time. Member may only buy gift certificates for other Members. The Company cannot be held responsible for any particular session, instructor and/or item of equipment not being available for whatever reason. The Company reserves the right to make alterations to the sessions, instructors and/ or equipment, as well as to those ancillary facilities (e.g. showers), provided to Members, without notice and in its absolute discretion and the Company will not be liable for any loss occasioned by such alterations except insofar as such loss is by law incapable of exclusion. During a session all bags and purses must be placed at the back of the room. Please keep your purse and mobile phone with you at all times. Members are required to switch off their mobile phones during session hours. Members are requested to wear a form of dress appropriate to the practice of Pilates. It is recommended that Members wear close-fitting clothing to allow for the most efficient movement and teaching (T-shirts and baggy pants are not useful). Outdoor shoes are not allowed in the studios. Footwear should be removed in the reception area before entry to the changing rooms or the studio. Socks with sticky soles however are recommended (you can find them in most stores) and a towel is advised. Members must not walk around the Studio barefoot if they have verrucas or similar foot complaints. Members must use the main entrance to the Studio when entering or leaving the Studio. In the event of a fire, Members are asked to make their way to the nearest available exit. Members are advised to arrive at least five minutes early for all Collective, Apparatus and Private classes. Members who are more than 10 minutes late may be refused access to the Collective/Apparatus Class. Please do your best to arrive on time as the beginning warm-up is an important part of the training and for your security. Members who are late for a Private Class: the teacher will respect the scheduled hour and finish on time. Members are advised to not eat at least 2 hours before their training session, drinking water is recommended. At the end of a session, Members must clean all equipment (with the spray and cloth provided) and put back in its appropriate place. Pilates involves physical exercise activity. None of our courses are suitable for participation under the influence of alcohol, or any other drugs or medication, prescription or otherwise, leading to the impairment of concentration or physical co-ordination. The Studio reserves the right to refuse entry to any class where we feel that a Members participation carries an unacceptable level of risk to that Members health, or would be detrimental to the experience of other students on the course. Members hereby indemnify and will hold us harmless from any injury or loss sustained by you as a result of your failure to take these precautionary measures, provided always that nothing shall exclude or limit our liability to you in respect of any injury occasioned by our negligence or other breach of duty. Members with low/high blood pressure and/or cardiac irregularities should not attend class, until they have written permission from their Doctor. If there is any doubt, the Member should consult his doctor. Members must notify the Studio of any circumstances affecting their health, which may be exacerbated through continued use of the Studio. Members hereby indemnify and will hold the Studio harmless from any injury or loss sustained by you as a result of your failure to take these precautionary measures, provided always that nothing shall exclude or limit our liability to you in respect of any injury occasioned by our negligence or other breach of duty. Links from or to websites outside the Site are meant for convenience only. The Company does not review, endorse, approve or control, and is not responsible for any sites linked from or to the Site, the content of those sites, the third parties named therein, or their products and services. Linking to any other site is at your sole risk and Corpus Studios will not be responsible or liable for any damages in connection with linking. If you access and use this Web site (www.corpusstudios.com) you accept and agree to be bound by and comply with these terms (the “Terms”). If you do not accept the Terms, do not use the Site. (TM) CORPUS STUDIOS SPRL/BVBA All trademarks are owned by CORPUS STUDIOS™ and CORPUS PILATES™ and are used under license. All rights reserved. All materials contained in CORPUS STUDIOS website are protected by copyright and trademark and shall not be used for any purpose whatsoever other than private, non-commercial viewing purposes. Reproduction, duplication, distribution, derivative works, and other unauthorized copying or use of stills, audio, video footage, or any other materials contained herein are expressly prohibited.